When I saw that Japonesque came out with an all-in-one face palette I was SO excited. 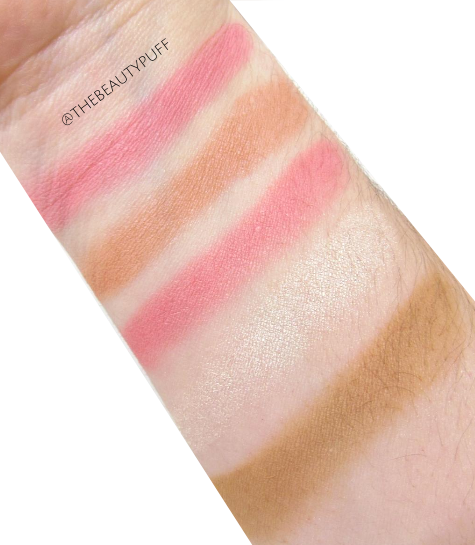 I've always eyed the Japonesque blushes and this palette features three of them! Not only that, there is an exclusive contour and highlight so you have everything you need at your finger tips. 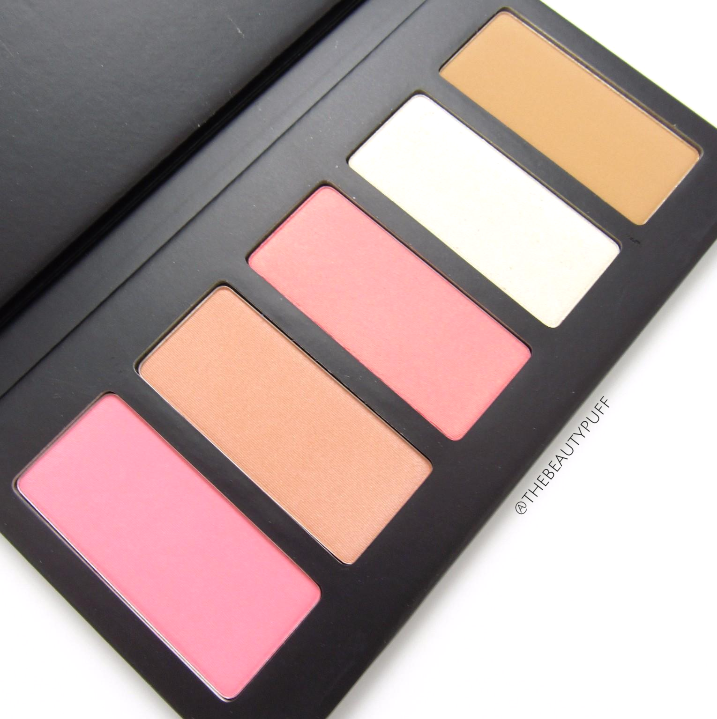 This versatile palette is sure to become a favorite, I know it's become one of mine! Within the Japonesque Velvet Touch Blush line there are six gorgeous shades. This palette features their three top sellers - Shade 01, 02, and 03 (left to right in the palette). My personal favorite is shade 02. I love that they included shades you can buy as singles as well. That way, if you fall in love with one, you know what to buy when it's gone. The formula of these blushes is smooth, blendable and pigmented so you get the perfect flush every time. 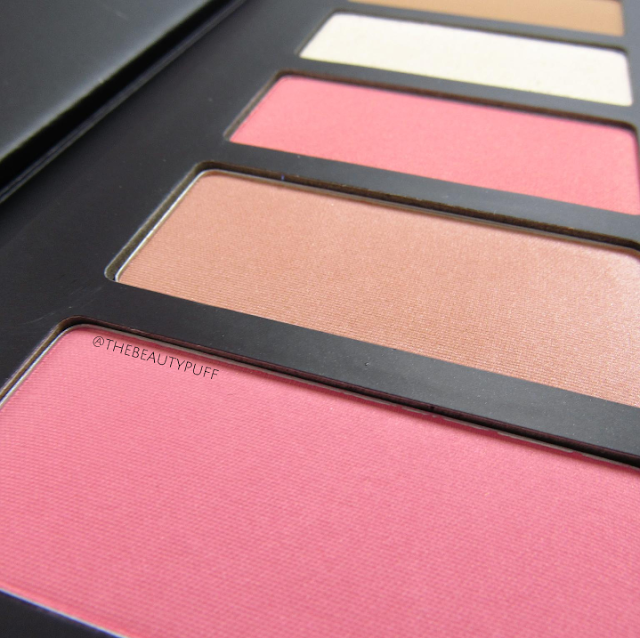 The exclusive shades in this palette are a stunning as well. The contour shade isn't too warm and suits my light skin perfectly. I would say this shade would work for light or medium skintones. It has a very natural color to it so it won't look overdone or get muddy. The highlight is ideal for those who want to bring light to the face without looking too shiny or unnatural. I didn't have to be too careful with this when applying. The pigment is just right to give a soft, natural glow to the skin. It coordinates well with any blush making it the perfect shade for travel. I would love to see this as a single product as well! Overall, if you've held off on most all-in-one palettes due to the color selection, lack of versatility or price point, you'll definitely want to try this one. Best of all, you can find it right at your local Ulta. Shop this palette and other Japonesque products on Ulta's website below!